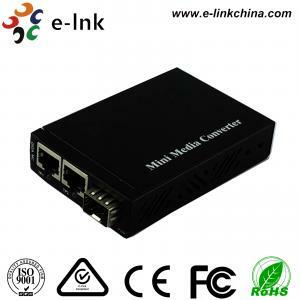 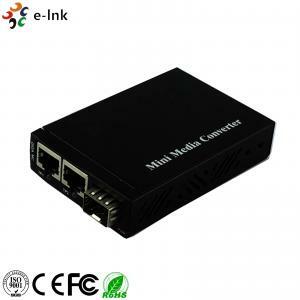 Mini 2x SFP Slot Gigabit Fiber Ethernet Media Converter 10/100/1000Base-T RJ45 for sale – Fiber Ethernet Media Converter manufacturer from china (107877211). 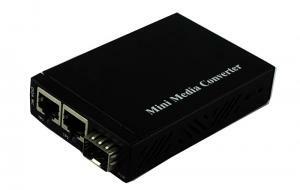 The mini 10/100/1000Base-TX to 1000Base-FX (also can be forced to 100Base-FX) media converter is fully compliant with IEEE802.3U, IEEE802.3z 1000Base-TX/FX protocols. 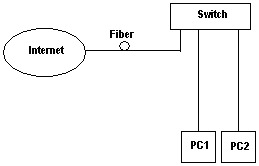 The converter can support auto MDI-MDIX function, flow control for full and half duplex operation, etc. 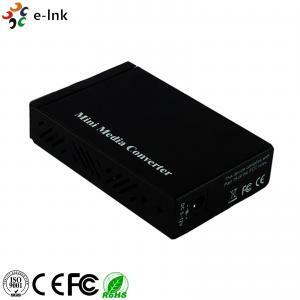 The compact size of Mini Media Converter is suitable for space limit installation and Mini size is the ideal media converter for enterprise Plug-and-play,providing store-and-forward data transmission Wide voltage from 5V to 12V.